4 Bedroom Semi Detached House For Sale in Sheffield for £310,000. Guide Price 310,000 - 320,000. 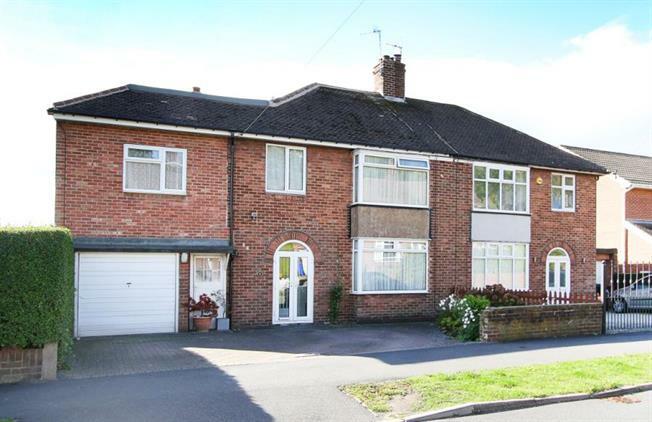 Situated on this lovely residential road within the sought after leafy suburb of Norton is this substantially extended four bedroom semi detached family home offering light and airy flexible living accommodation over two floors. The double driveway provides ample off road parking. Maintained substantial lawn rear gardens all privately enclosed. The area is served by a comprehensive range of excellent local amenities and within catchment for regarded junior & secondary schools. Convenient transport links ideal for access to Sheffield City Centre, universities and hospitals.